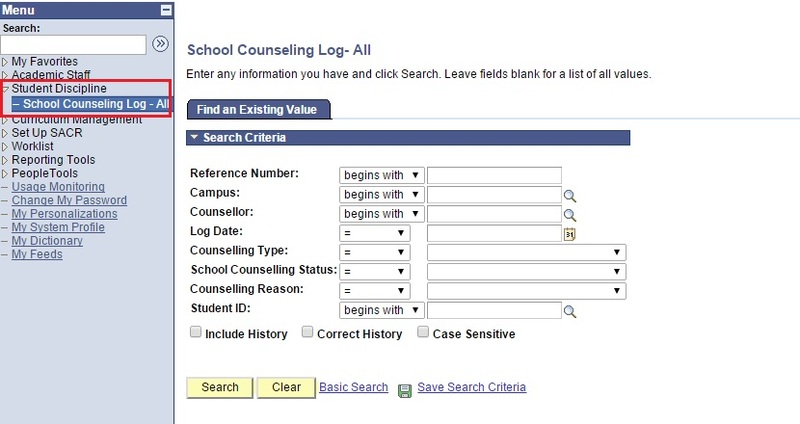 This function allows the users to search all counselling log under their school. 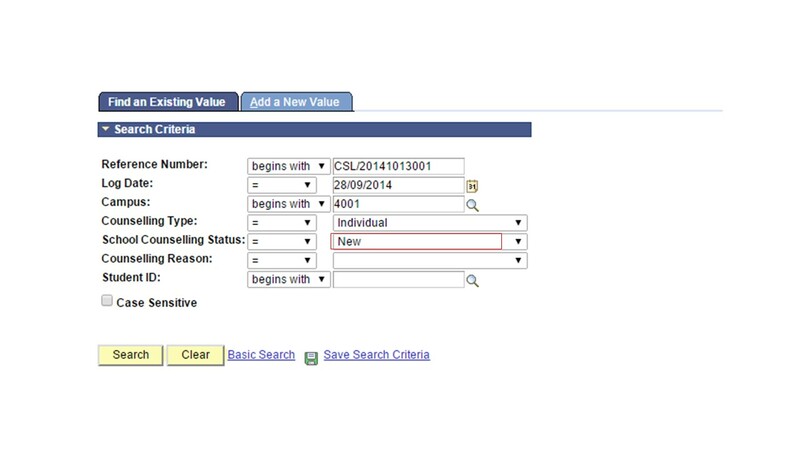 Campus field will be auto populated based on user security. 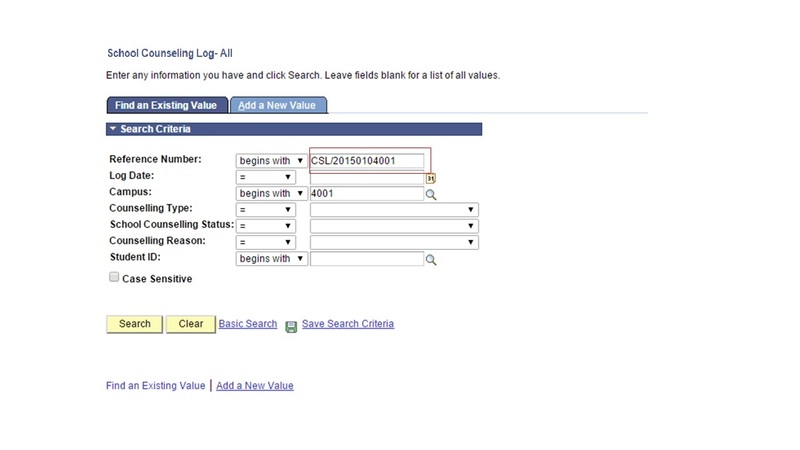 The school code reflect which school does the user belong to. 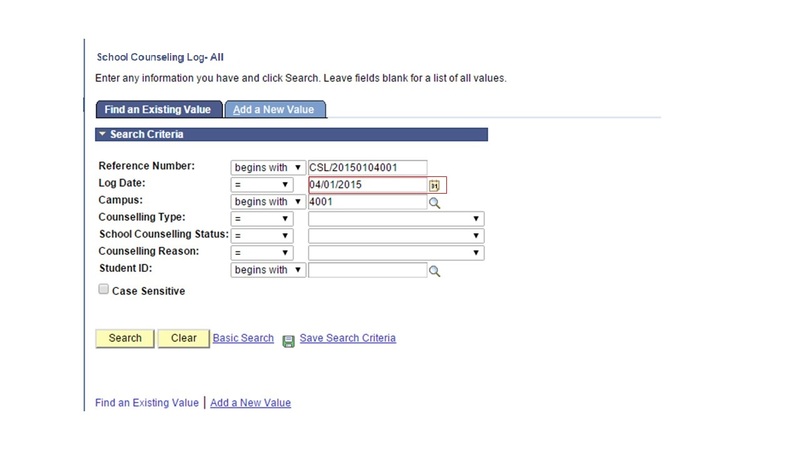 Fill in Reference Number field. 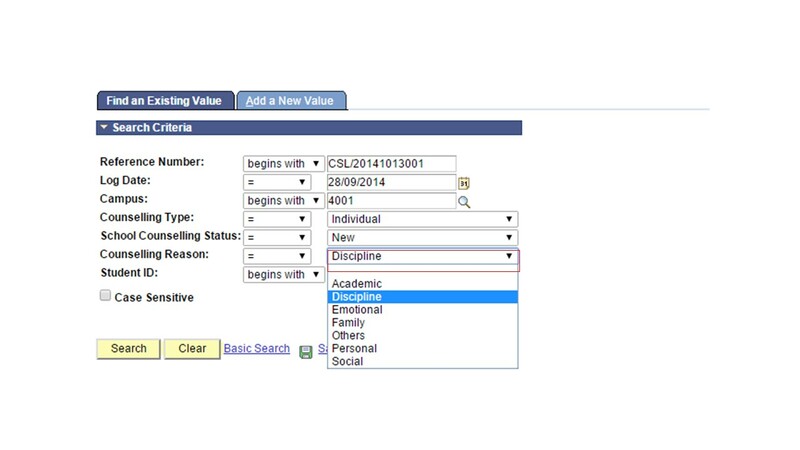 Click on Counselling Type drop-down menu to select counselling type. The two type of counselling are: Individual and Group. 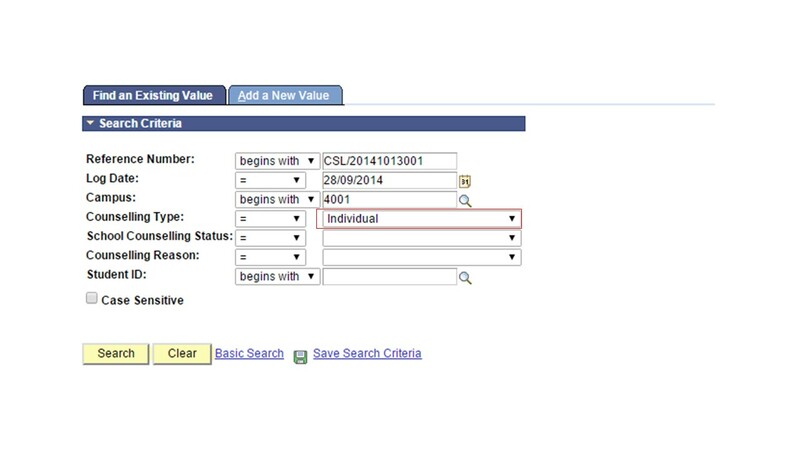 Individual refer to counselling case with one individual student only. 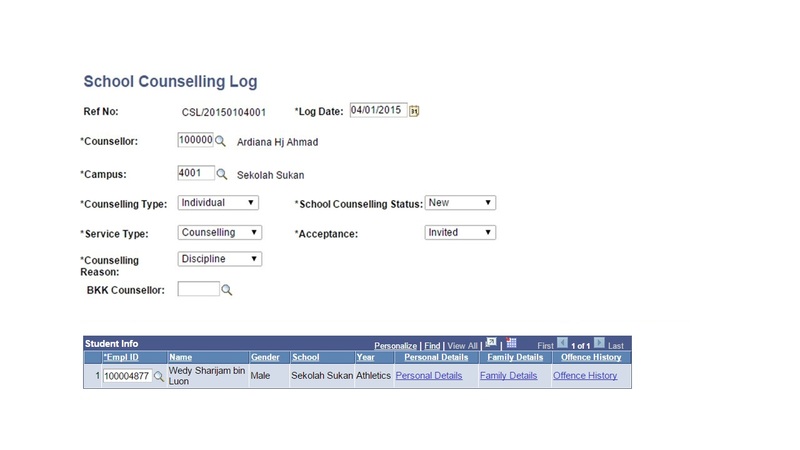 Meanwhile group counselling type have more than one student in one particular counselling log. 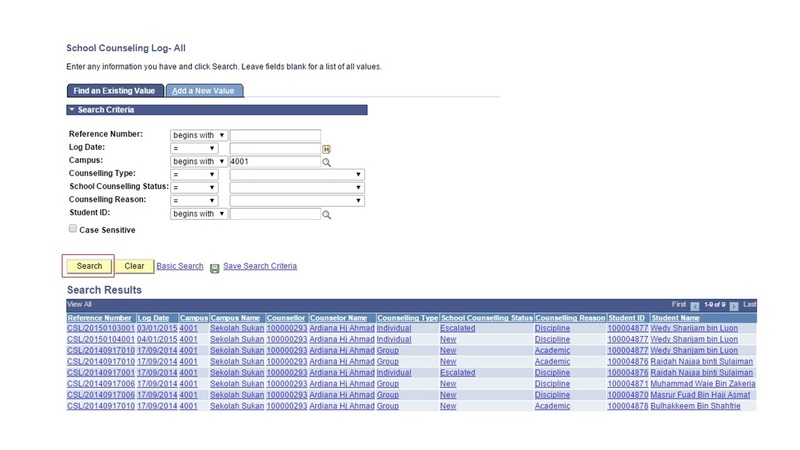 User will be redirect to the searched school counselling log page.